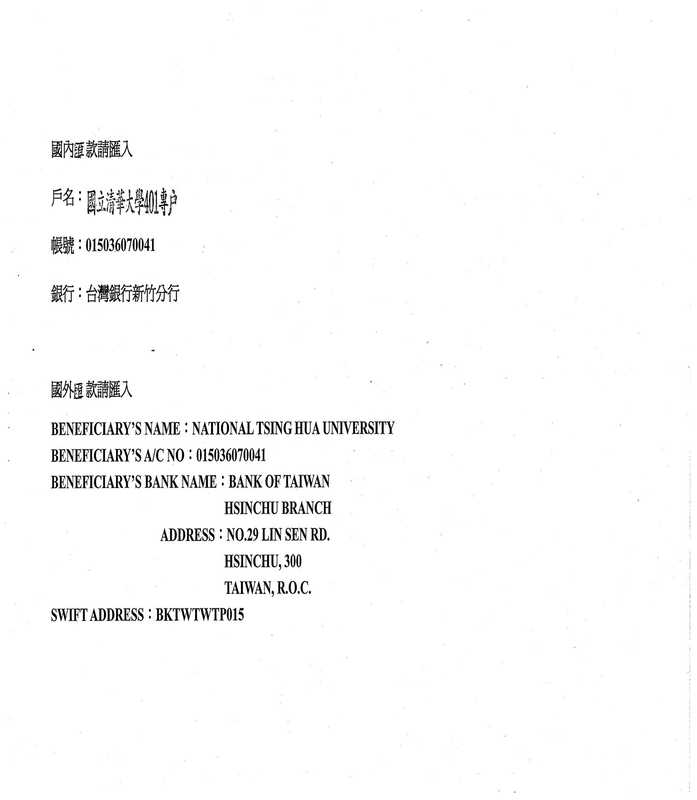 Send scanned copies of your transcript and language certificate to yuehanxuetang@my.nthu.edu.tw. Download the recommendation form here and ask your teachers to send it directly to yuehanxuetang@my.nthu.edu.tw. Note that you need two recommendation forms to apply. Download the bank transfer information here. We will confirm with you after receiving the receipt and start processing your application. You can sign up from November 20 2017 until March 1 2018. The application fee will be waived if you sign up before Feb 1 2018.